Theatre festival in Downtown Nanaimo. 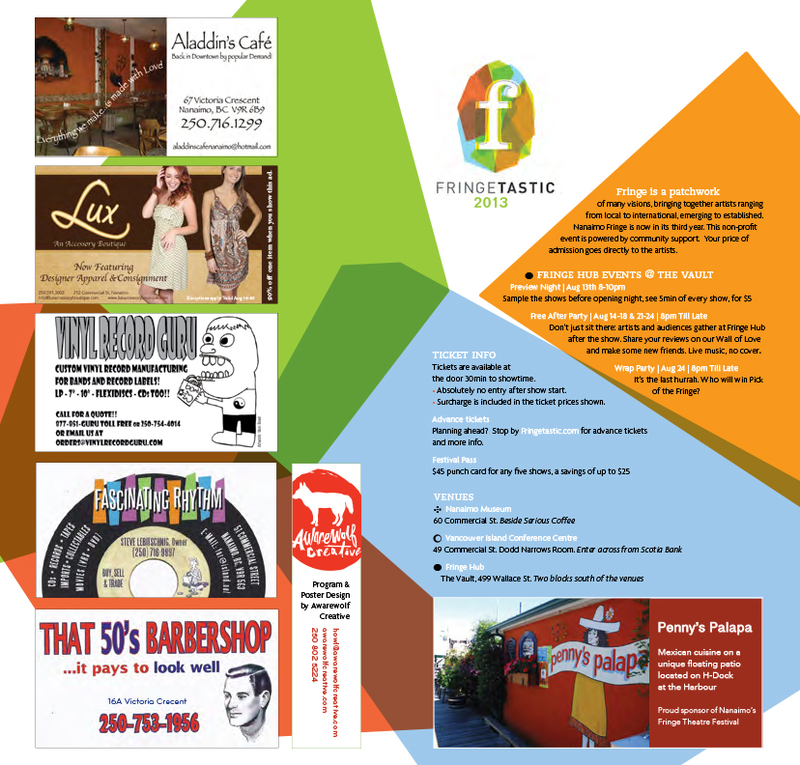 Nanaimo Fringe is 3 years old and getting better every year. In 2012 we introduced the Fringe Hub, an after hours club featuring free music and lots of new friends to meet. This year we’re introducing a partnership with Crimson Coast’s Infringing Festival! And – as always – the festival features 8 shows selected by lottery, which means anything could happen! You can purchase a 5-show punch card for just $45 (incl. fees), which’ll save you around $25. Check it out. 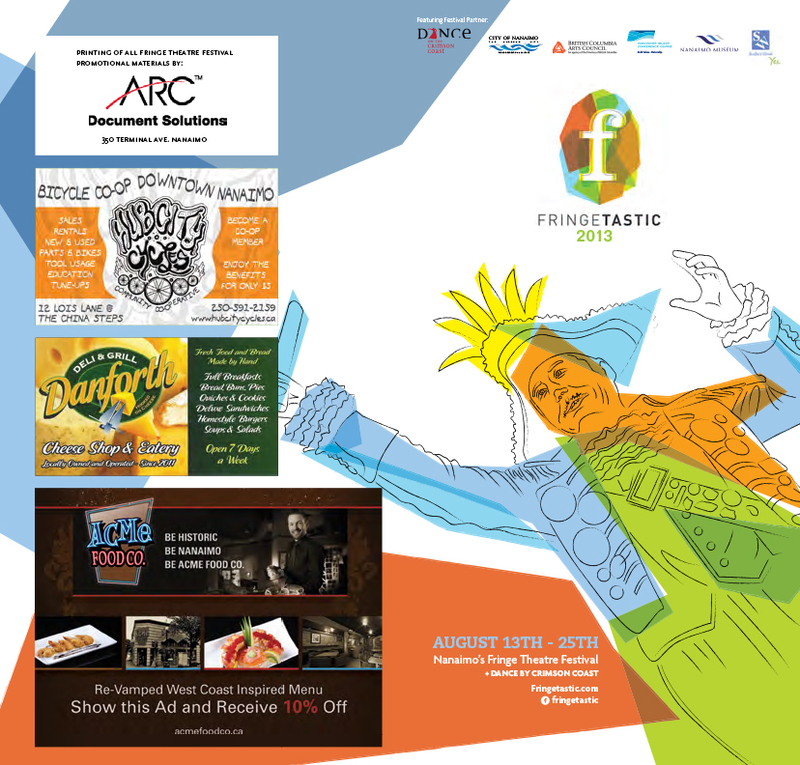 We are still accepting volunteers for Nanaimo’s 2013 fringe. It’s easy to get involved, and friends of the fringe get free tickets. Awesome! Get the scoop, sweetheart. 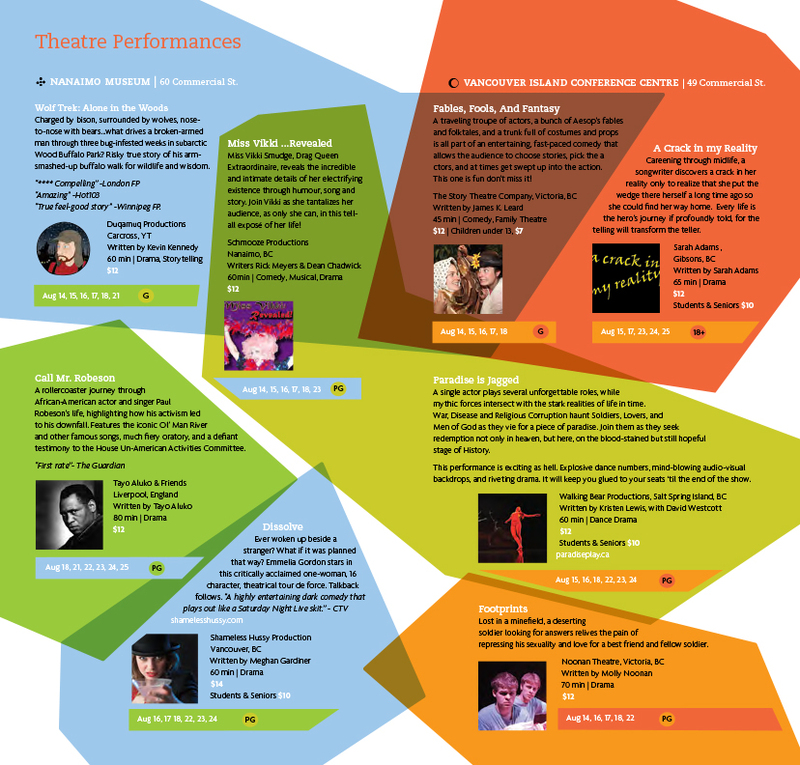 Peruse all the show descriptions in our Festival Program or by venue. In cooperation with Crimson Coast, we present the InFrinGinG Increments at Fringetastic. 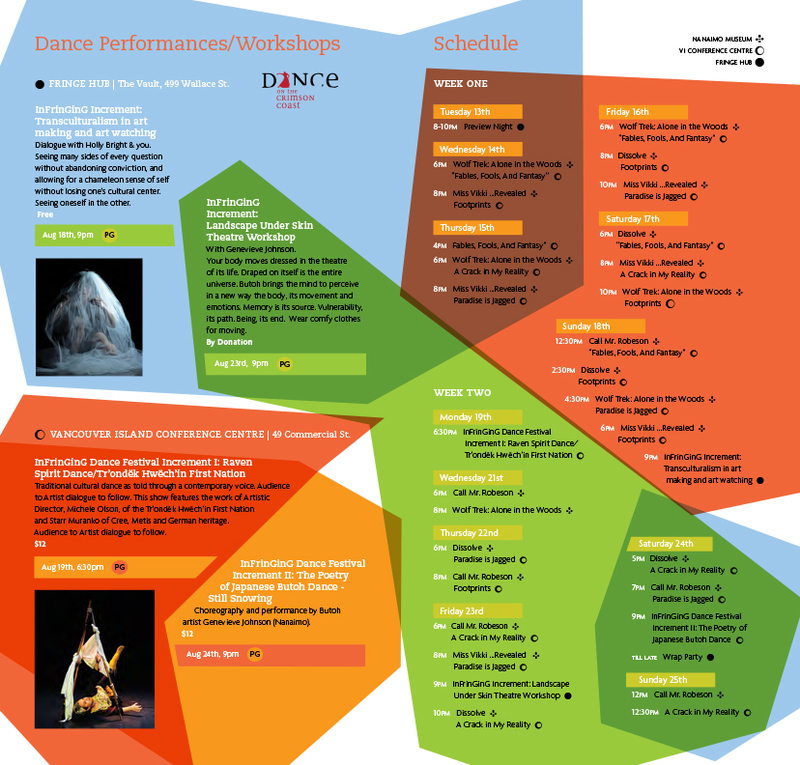 Extraordinary professional dancers offer interactive workshops at Fringe Hub, as well as two innovative new shows at Venue 2. All these events are at sweet fringe prices or, in some cases, by donation. Read about all the InFrinGinG Increments on the last page of the Festival Program next to the main schedule, or right here on our website. Don’t just sit there; join us after the show in our after-hours club. The place for artists & audiences to meet and enjoy free entertainment.